Many commercial matters involve the preparation of one or more documents. These documents are drafted based on communications between the parties to the document and/or their respective lawyers, the specific circumstances of the matter and applicable substantive law. 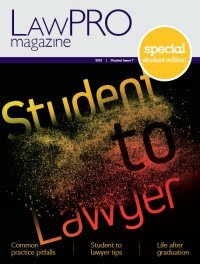 While the majority of commercial deals in Ontario are concluded without difficulties, all too often LAWPRO sees claims arising due to various real – or alleged – problems with the documents that lawyers have prepared for clients on commercial matters. These problems frequently arise due to communications problems between the lawyer and client. In fact, lawyer/client communication issues are the most common cause of claims in the commercial area. The communications problems that lead to claims in this area involve failures by the lawyer to: follow the client’s instructions; obtain the client’s consent; inform the client of the implications of decisions/actions to be taken; or clearly communicate with the client. Of the nearly 3,000 claims arising out of commercial law practice (including bankruptcy, securities and tax) reported to LAWPRO between 2007 and 2016, over a third involved communications issues. The cost of resolving these communications-related claims will be approximately $42 million ($149 million for all commercial claims). The oldest communications-related commercial claim LAWPRO has ever seen was reported 24 years after the work was done (the oldest commercial claim was reported 44 years after the work was done) – proof positive that in this area of law it can take a long time for past events to catch up with the lawyer involved. Sometimes there is a real communications mistake and a legitimate claim due to an incomplete or improperly drafted document or other mistake by the lawyer. For example, a mistake is made as to the specific details of the matter and what is to be included in contracts. However, on many communication-related claims the lawyer and client will have a very different recollection about what was said and done or not said and not done. Communications can be incomplete (perhaps due to a language barrier or because the matter was rushed), or there’s confusion about who is to look after tasks before or after the matter is concluded. Credibility plays a large part in resolving these claims and LAWPRO finds these matters difficult to successfully defend if the lawyer has not documented the instructions with sufficient notes or other documentation in the file. Practically speaking, you can’t document every communication and every step taken on every matter. You also can’t anticipate and address every possible outcome, especially for things that may come up after the retainer is over. But equipped with an understanding of where the most common communication errors occur, you can take steps to significantly reduce your risk of a malpractice claim. These steps can also put you in a much better position to successfully defend yourself in the event an allegation of negligence is made. 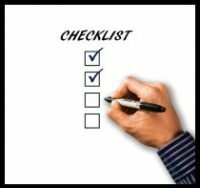 LAWPRO’s Commercial Transactions Checklist (PDF format, Word format and RTF format) contains a series of questions lawyers should ask themselves to help ensure that the commercial documents they are drafting correctly reflect the client’s instructions and expected results. By following the steps in this checklist, you will be taking steps to proactively manage your file and address the areas where communication problems most commonly occur. You will also be creating a paper trail that could be invaluable in the event your client sues you for negligence. Most lawyers will want to avoid a claim at all costs. Dealing with an allegation of negligence where there was none can be just as distressing as dealing with a claim where you made a mistake. To stay out of trouble consider reviewing this checklist next time you are drafting a document for a client.